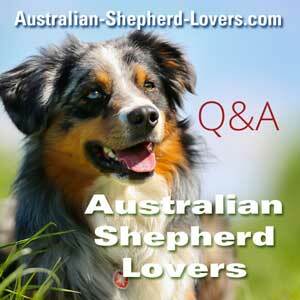 Is An Australian Shepherd Right For Us? Sorry if I'm in the wrong place. If not, I'm looking for advice from Aussie parents. My eldest daughter (16) lost her best friend (a 14 year old small mixed breed dog) last summer. She is ready to start the search for a new fur friend. My dog is a 5 year old rescue Standard Poodle who is a therapy dog. He was supposed to be for my 16 year old because she has anxiety disorder. He loves everyone in the house but picked me as his person. I don't know why but he is my constant shadow and the best dog I've ever had. My youngest daughter (9) has a loving but hyper two year old Yorkie that was being rehomed by a family in our church because he was way more active than they wanted. He has proven pretty difficult to housebreak, but otherwise a smart little fella who loves to be toted around. We have about 20 acres of land out in the country - non fenced. We hike, jog, and camp a lot. We need an active dog that would enjoy hiking and jogging alongside us, but one that is loving and likes to spend all it's time with it's people family. A student of mine is having to rehome her 1 year old miniature Australian Shepherd she loves dearly. They live in town in a small house with no yard. Mom says he needs a family that has more time for him and more space. I've never been around Aussie's and don't know anyone personally that has one or has had one. We are going to go check him out tomorrow to see how he interacts with the girls. If it works out, it would be a win win situation because I have the student for 3 more years and we live in a small town so she could visit him and maybe he will be the best medicine for my 16 year old that is lost without her dog. Just looking for advice on Aussie's and whether one might be a good fit for us. 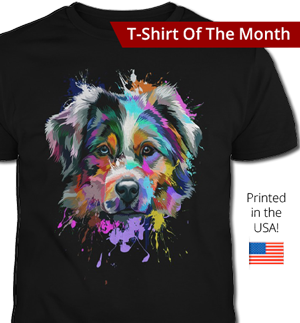 Comments for Is An Australian Shepherd Right For Us? I don't know much about mini's - I don't know if they think and act the same as normal Aussie Shepherds, but on a physical pint sized level. If they are and the outdoors stuff is frequent and often, then you will be hard pressed to do better than an Aussie. Their familial bonding is legendary. And their energy levels very high. Just make sure there is enough "thinking" stuff for them to do as well as physical stuff. 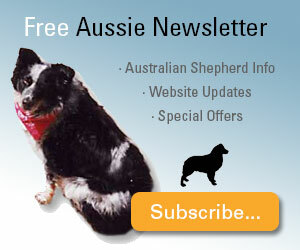 We have a 9 year old female Aussie, Miss Moneypenny, who is our loyal pet, companion, and friend. She has to always know where we both are and what we are doing, particularly if it involves food! We previously had a male Sheltie who was also very nice but died early from lung cancer. Our girl is very active and intelligent although like most Aussies she has a hard headed independent streak. She requires our attention and loves her walks and mingling with other dogs as well as anyone she meets. She has slowed down now as she ages but is still one of the best looking dogs around as many many folks have told us .I have only met a couple of mini Aussies and they seemed quite nice although I always wondered what crossbreeds were used to make them smaller. There are mini Shelties I have seen who acted more like Chijuajuas! I would say give the Aussie a try, I think you will find a new friend. I have 2 Aussies, and the one thing they need the most is to be around their people. They lay by my feet and as soon as I get up from a chair they get up too and follow me wherever I go. They are also high energy dogs. I found mine not to be distance runners, but sprinters. They love to chase each other and play, but will only do it if someone is outside with them. They will follow the pack lead, so if this is to be your daughter's dog, I would have her feed, walk and discipline the dog, so that she is his leader. My daughter's love on the dogs more than me, but they follow me. The dog you are going to see may turn out to be perfect for your family. It all depends on the individual dog. 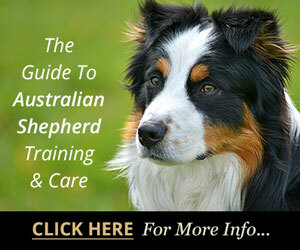 But if your heart is set on getting an Australian Shepherd, you should look for a good Aussie breeder in your area. Our dog just lives for the hike! We live in Alaska and when we go out for our daily (or sometimes twice daily) hike we often come across moose and less often bear and he really has a sense for what to do and what not to do with wildlife encounters. He let's us know that there is something ahead by standing sideways in the trail. 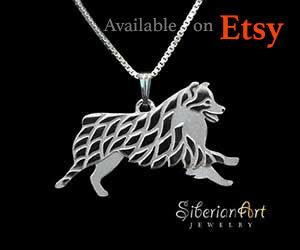 He doesn't run up to a bear or moose and then run back to us, thus bring an angry critter back to us. The one time we did come upon a moose that was downwind he did run at it aggressively, I believe because it was so close to us to begin with that our dog was trying to protect us. When the moose charged him he ran in the opposite direction from us thus keeping that moose away from us. Simply stated he is the best trail dog I have ever had! As for your 20 acres, that seems ideal for an Aussie. We have just 3 acres but he knows pretty much exactly where the property ends as we showed him the first day home. He never runs off, and he sits outside often by himself and simply watches for anything out of the ordinary. 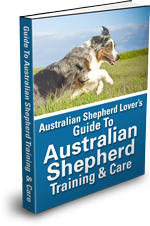 The one issue I can think of would be how your Aussie will interact with your other dogs. We only have the one dog here but when we come across other dogs ours can become very defensive and it has turned into several skirmishes. This is the one thing I wish I could change about him, otherwise he is the best dog I have ever had! Hi, I would recommend Aussies to the entire world. I had a standard male Aussie for 13 years, and now have a pair of Mini Aussie boys for the past 4 years. They have a great natural fondness for bonding with the family. 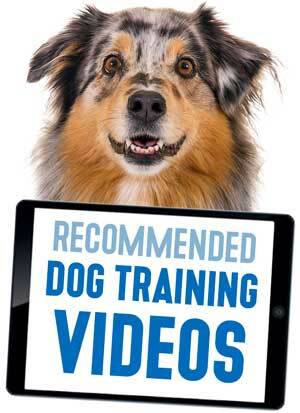 I have found them to be very intelligent, easy to train, and eager to please. They do have a good energy level, so if you don't have a fenced in yard, they will need walks, or trips to the dog park. Thanks for all the insightful replies! The girls and I are going to meet him today and see how it goes. Should I schedule another day to take Ollie and Toto (our dogs) over to meet him also? It might be better to introduce your other dogs somewhere else on neutral territory. 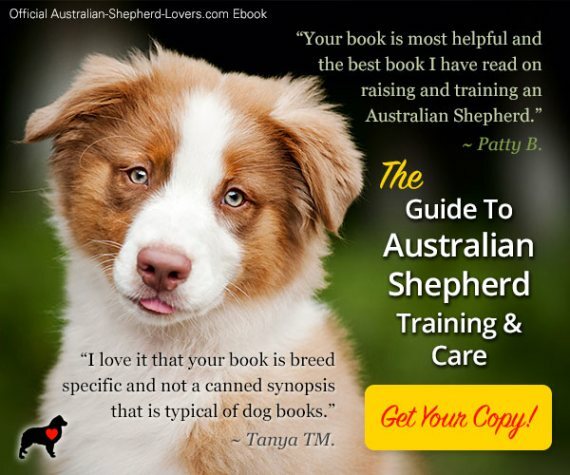 That said I think you have an advantage in that your new Aussie will be in a new environment with new owners so might be more accepting of other dogs. Ours was when we first adopted him, but it would be a real challenge to bring another dog into our home now. Of course that is our situation, and yours will no doubt be different. Finally got to meet him! We got to go over to meet and interact with SugarBear yesterday. I was amazed at how friendly he was with us. He ran up to us with his tail wagging (actually his whole backside was wagging) and just loved on us the whole time we were there. He was very well behaved and just precious. The owner actually suggested that we come pick him up next weekend and take him home to see how things go. The girls are so excited. Thanks for all the advice. I can't wait to see how things go with him and our other dogs. They are both very mellow and well socialized. I'll update afterwards.